Supporting our clients by giving them Quality Prouducts and Work Services to acheive competitive advantage in the market. H frames available on ready (standard sizes available in Mumbai) and make to order basis. 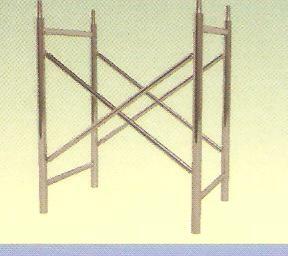 H frames available in standard sizes for Construction, Glazzing Cladding/ Building Facade purposes. The H-frames & Cross Braces (made of MS Pipe & Angle) with strength to have a load bearing capacity even for it installation uptill 25 floors. The lead time for H-Frame manufacturing is very low as we have skilled workmen who are experienced in this field for years.